Glioblastomas are characterized by the highest degree of invasion and the worst survival prediction because of the lack of efficient therapy that would not be harmful for sensitive and vitally-important surrounding brain tissue. Propolis is a multicomponent substance known for numerous biological effects including antioxidant-related stimulation of immune system and tissue regeneration as well as anticancer activity. The aim of this study was to investigate the effects on viability of glioblastoma (C6 rat glioma cell line) and healthy brain cells (primary cerebellar granule cells) of aqueous (AqEP), polyethylene glycol-aqueous (Pg-AqEP) and ethanolic (EEP) propolis extracts. After 24h treatment, all the extracts tested decreased C6 cell viability in a concentration-dependent manner. Statistically significant increase in the number of dead cells was achieved at the following concentrations of phenolic compounds: 15-18 µg/ml for AqEP, 10 µg/ml for Pg-AqEP and 5 - 7 µg/ml EEP. We have also tested how same propolis extracts influence viability of primary cerebellar granule cell cultures comprised of 76±3 % neurons, 16±2 % astrocytes and 8±2% microglia and found no decrease in cell viability after 24h treatment. In conclusion, propolis extracts exert selective cytotoxicity against C6 cells while preserving healthy brain cells and could be recommended as adjuvant of glioblastoma therapy as well as safe food supplements for cancer prevention. ISNAD BALION, Zbigniev , JEKABSONE, Aistė , RAMANAUSKIENE, Kristina , MAJIENĖ, Daiva . "Anticancer Properties of Aqueous and Nonaqueous Propolis Extracts". 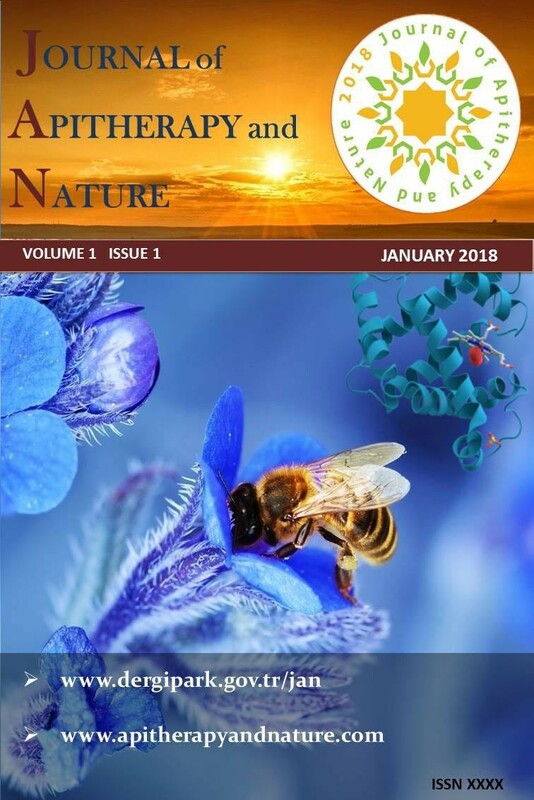 Journal of Apitherapy and Nature 1 / 3 (December 2018): 28-28.